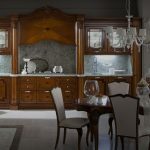 Elizabeth kitchen traditional forms and approaches become enriched with unexpected functional elements such as sliding hidden compartments placed behind decorative pillars. 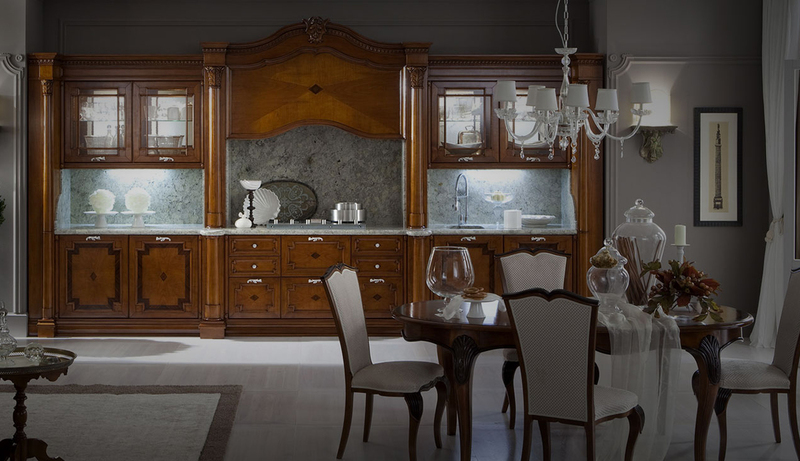 The kitchen acquires a strong stage presence, hiding its technological heart, where tradition and innovation meet and merge together. 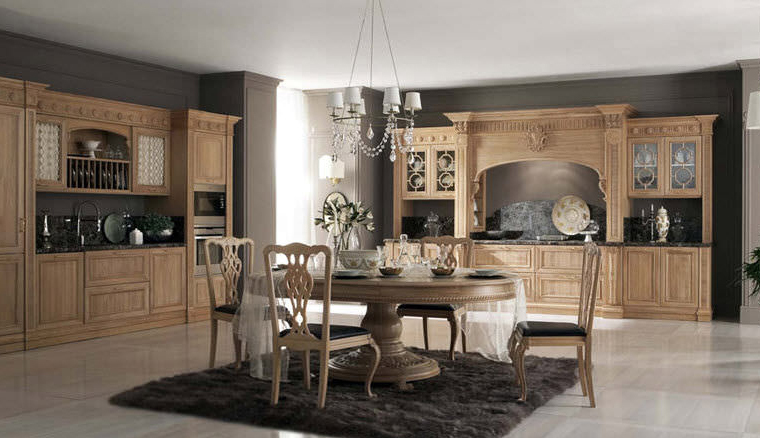 Special attention is devoted to all aspects that concern lighting, whether it is the decorative lighting inside the display cases or the clearly functional lights arranged under the cabinets and lighting the work top.